M.E.E.R. e.V. primarily sees its mission within the areas of science and raising public awareness. The actual number of people we are reaching with our practical work is hard to estimate – but ever since numerous people and organisations have been sensitized concerning elementary environmental matters, and been encouraged to help and show commitment through M.E.E.R.’s work, it’s more than obvious that we are heading in the right direction. The successes, campaigns, activities, and publications shown here are mainly based on voluntary work done by our active members. 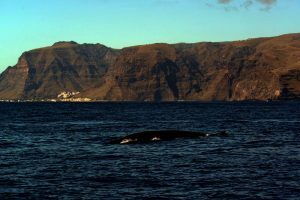 We are particularly thankful for the close cooperation with the Whale Watching operators on La Gomera, which began in the 1990s (until 2007 Club de Mar, since 2008 OCEANO La Gomera). The goodwill is inestimable, not to mention the material gain derived from these cooperations: If you regarded the hours spent at sea for data-collection as paid hours, you would be looking at a minimum of 1.000 000 Euros. The relation between our budget and the effects we achieve (scientifically, and in terms of education, activities, and campaigns) is enormous – showing that M.E.E.R. e.V. can and and will continue to work in a highly efficient manner. 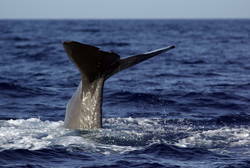 The project MEER La Gomera is internationally regarded as a ”best practice” example for sustainable whale watching tourism. Thanks to the network with national and international organisations, we have a very extensive outreach, according to the slogan “act local, think global”. In addition, we possess expertise concerning certain topics (i.e. ship strikes or sighting database from “platforms of opportunity”) that no other European organisation can provide. 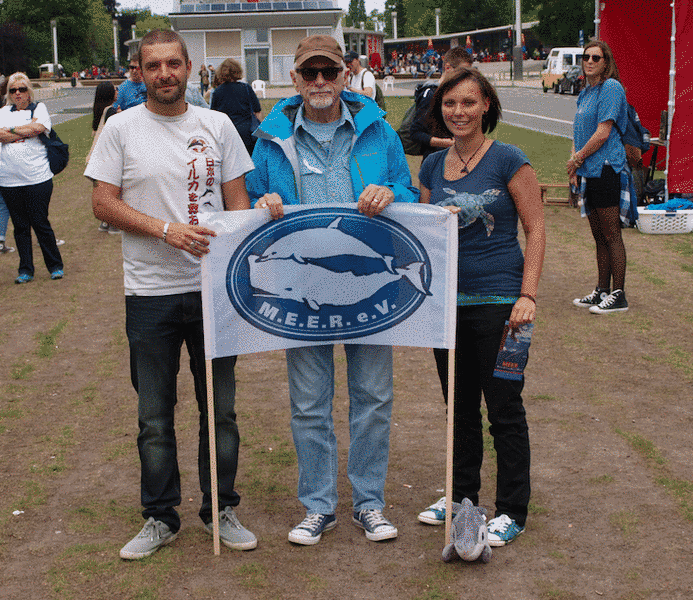 Environmental Education: M.E.E.R. e.V. lectures on whales and dolphins at school as well as on ship-whale collisions in a sailing club. M.E.E.R. e.V. 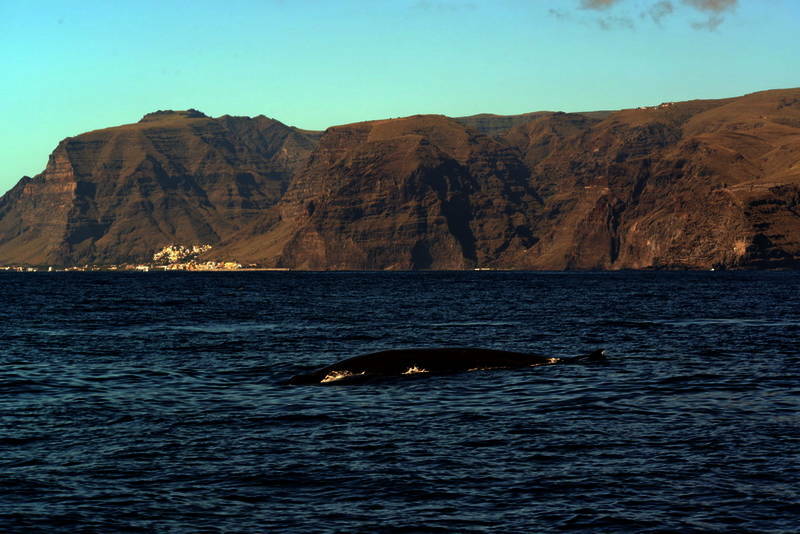 presents new research results on skin anomalies in cetaceans off La Gomera at the scientific committee of the IWC (International Whaling Commission). M.E.E.R. e.V. 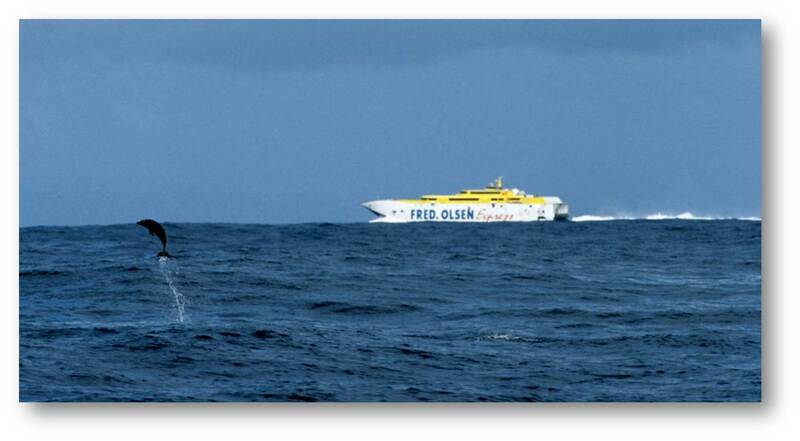 and IWC provide a joint presentation on “ship strike” (collision of ships with whales) at several conferences. M.E.E.R. e.V. 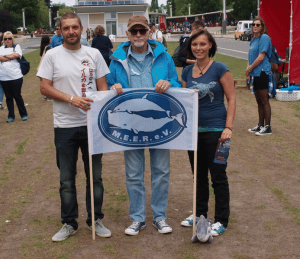 and WDC uncover sale of illegal whale meat at the “Grüne Woche” in Berlin. M.E.E.R. e.V. 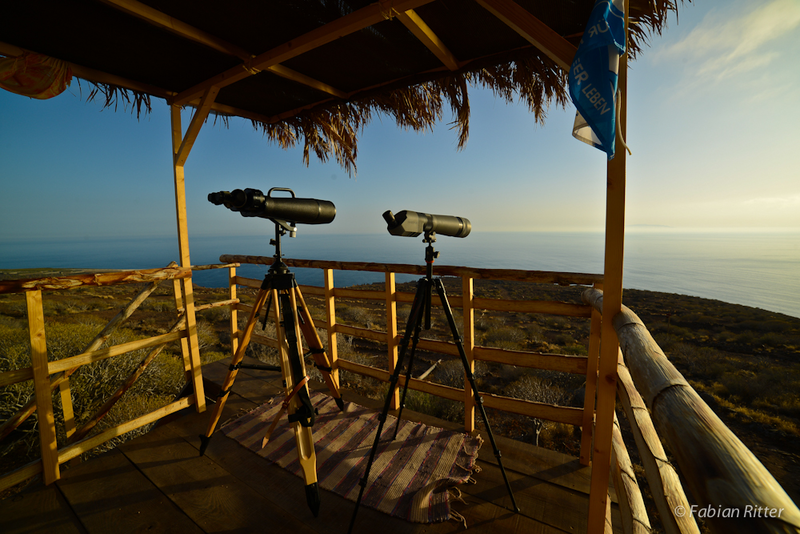 supports the bachelor thesis “Whale Watching Tourism in the Canary Islands: the role of sustainable tourism in the development of a new niche market” (Fachhochschule Stralsund). M.E.E.R. e.V. 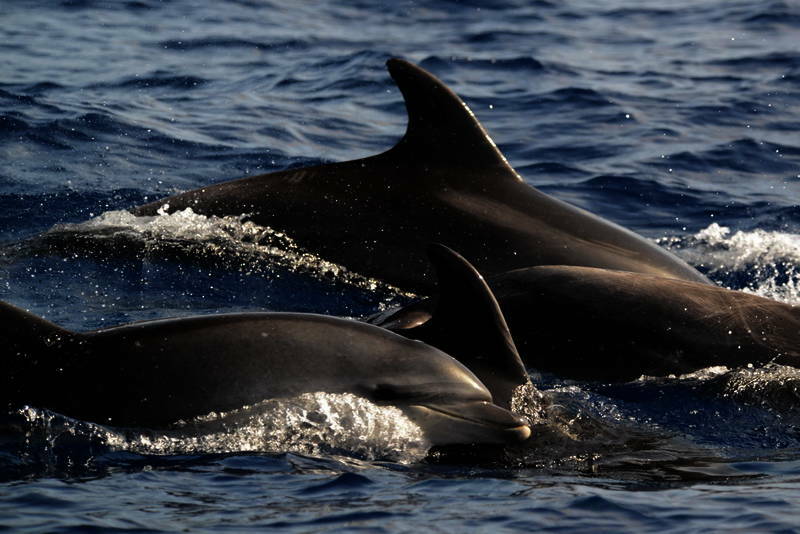 presents the results of its most recent investigation on the underwater noise caused by ferries at the conference of the ECS (European Cetacean Society) in Setubal/Portugal. Extension of the permanent exhibition in La Gomera (original rib and vertebrae of a sperm whale as well as 2 lifesize bottlenose dolphin models, plankton network & binoculars. 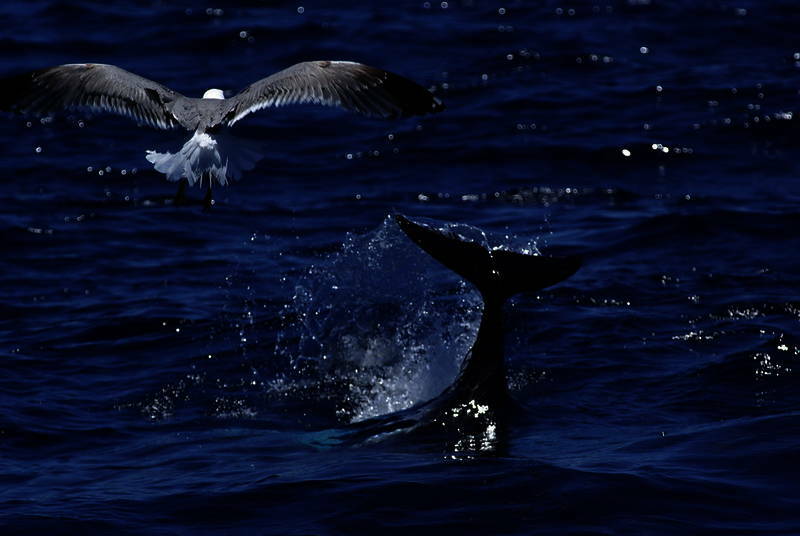 Official partnership with the Swiss ocean conservation group OceanCare and the campaign “Silent Oceans”. New info banner on the topic of plastic waste in the sea. Project for school kids in the permanent exhibition of MEER: A presentation you can listen to, touch, and be amazed at for 6 to 8 year-olds from the Borbarlan/Valle Gran Rey School. New research work on Visualization and Analysis of Sighting Data based on a modern Geographic Information System (GIS). The work emerged through co-operation with the Hochschule für Technik und Wirtschaft (HTW) Berlin. Fabian Ritter attends IWC conference in Panama as consultant of the Belgian government. 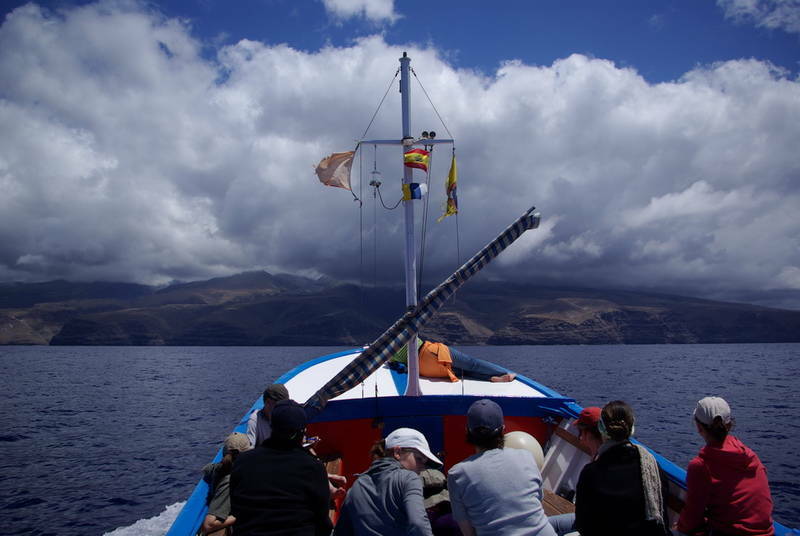 MEER supports the educational project „OCEANO – educación ambiental“ for schoolkids at La Gomera. The filming for M.E.E.R.’s new image-film starts. M.E.E.R. e.V. and other organisations hand over 60 000 signatures to fight the construction of new dolphinariums in Europe. M.E.E.R. e.V. becomes increasingly involved in the topic of “European fisheries policy”. M.E.E.R. e.V. is part of the 63. 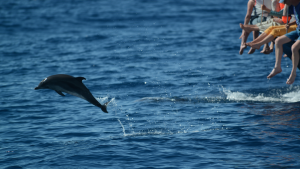 IWC-conference in Jersey (GB, more…) and the annual meeting of the European Cetacean Society in Cadiz. M.E.E.R. e.V. starts the first study on the Canary Islands focusing on observations of conspicuous dolphins (animals with injuries, deformations, skin anomalies, or emaciated animals). Scientific report: M.E.E.R. e.V. provides specific recommendations to the Spanish government for the development of the NATURA 2000 conservation areas on the Canary Islands. M.E.E.R. is invited to participate in the international IWC-workshop on “Reducing Risk of Collisions between Vessels and Cetaceans” . Encounter with Orcas in August shows once more how important the data-recording of all our sightings around Gomera is. Fabian Ritter presents study about sailing vessel-whale collisions at the IWC-conference on Madeira. M.E.E.R. e.V. 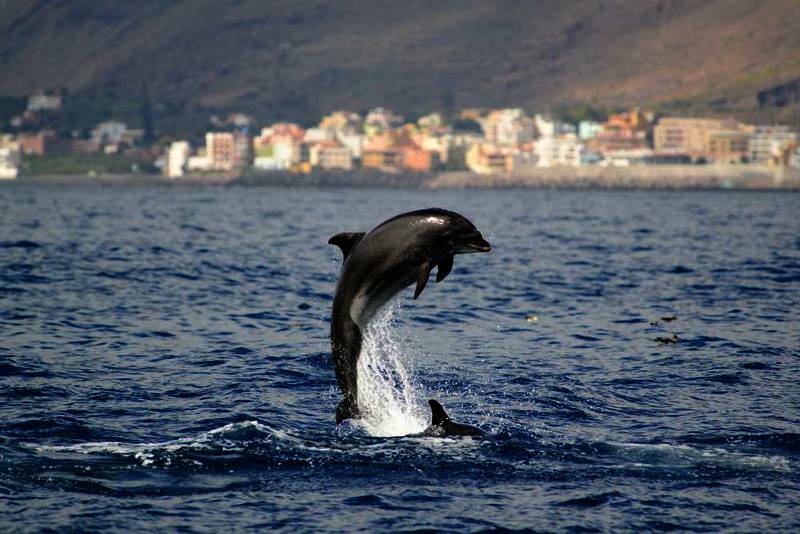 becomes part of the European Alliance Against Dolphinariums.